Lady Gaga tells New York magazine. It’s become apparent to the FOX station that television is consumed with reality dating shows. On these shows, there’s usually a bevy of beautiful, thin women all trying to win the heart of a handsome stud. But FOX thinks…this isn’t reality!! These shows may feature lovely ladies on them, but they aren’t sitting around watching the shows. Nope, according to FOX, these dating shows are being watched by fat, sloppy, horny women that obviously need love too…and FOX is going to help them. The show is called More to Love. It will be the first reality dating show which focuses on finding love for the kind of women who get excited when they see fast food commercials or learn that a new dessert is coming out. My question is, will people watch it to poke fun, or to actually see someone find “true love”? Goes to that hottie coach Steven Ward, on the VH1 reality show Tough Love. This guy is a mega hottie, and pretty much the only reason I watch the show. I wonder if he’s single…because I am. Hey Steven Ward, I’m not a weak woman who doesn’t know how to catch a good man!! Vicki Gunvalson, one of the ANNOYING stars of Bravo’s Real Housewives of Orange County, recently received a death threat from an obsessed female fan regarding something Gunvalson ANNOYINGLY said to co-star Jeana Keough. Keough also got an email threatening Gunvalson (the fan said she’d “take care of Vicki for her”) and spoke to RadarOnline.com about the troubling situation because we all know Vicki is actually REALLY ANNOYING and we aren’t surprised. Violence is never the answer even though Vicki is super duper ANNOYING. Orange County cops are still investigating the death threats made against Gunvalson. Shopping for groceries with the apple of his eye..Levi. A stage adaptation of the band’s highly successful American Idiot will be opening the 2009-10 season of the Berkeley Repertory Theater. Billie Joe Armstrong co-wrote the show’s book with Spring Awakening’s Michael Mayer. WOW. I think Mariah Carey should also have her own musical. Wouldn’t that be awesome? (Not at all…not in the slightest). For some reason I give a pass to Green Day. Maybe it can be really creative and unique. They should blow up idiots on the stage hahah. That’ll bring in the crowd! People are talking …and the word is Angelina is donating to Nadya. Makes sense. She probably gave her a million dollars and offered to take a few of the kids off her hands. Only the pretty kids tho..not the ones without noses or limbs. Don’t get mad, I was joking. And while the money would no doubt help Nadya pay for everything from clothes to schooling, Angelina, 33, does have some misgivings about the gift, notes the source. Angelina just fueled the fire with dolla bills yo~! Jennifer Aniston on the set of her new film “The Baster”… I think it should be called ” The Basted”. It’s about Jennifer who gets pregnant and Jason Bateman, her friend…has to finally tell her that it was his sperm on purpose. Don’t ask me exactly when and how he inserts the baster. Then aliens come down and squirt their sperm all over everyone’s faces. Okay I added the last part. Alright…here is the official information. In a story from The Hollywood Reporter, Jennifer Aniston and Jason Bateman will be co-starring in the romantic comedy The Baster. The film will begin shooting for Mandate Pictures this spring in New York. Bateman and Aniston play Wally and Kassie. When Wally impregnates Kassie through artificial insemination (unbeknownst to Kassie), he realizes that living with this secret is going to be tougher than he thought. Will Speck and Josh Gordo are directing this project from a screenplay by Allan Loeb. The screenplay is based on a short story by Jeffrey Eugenides. This would be totally hot, if it’s true! 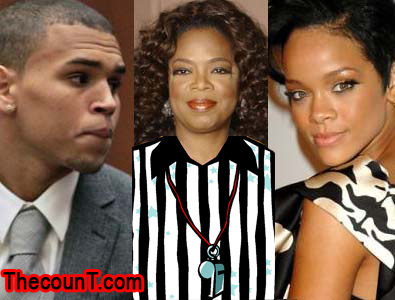 Look Magazine is reporting Chris Brown is considering apologizing to Rihanna on the Oprah show! Brown apparently said “no” at first but left the door open to Oprah’s invitation to say “I’m sorry” to Rihanna on the talk show host’s world stage. Mamas boy Brown said he would have to consult Joyce before making if official. I actually agree and like what she says here about the love between them. Bravo!! Encore Encore!! I don’t know if Bridget really likes the first comment about birthing a child that Gisele says is really more hers. Okay she didn’t come right out and say that but she sure implied it! 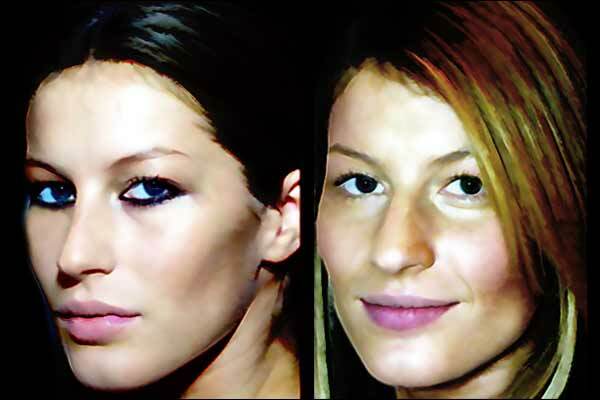 So while we are talking about this, I’ll post her plastic surgery pics.